It may feel like winter out, but spring wedding season is not that far away. Now is the time to decide the look you want for your crowning touch on your special day. This gives you time to try what works and also grow your hair to the length you need to get the gorgeous look you want. 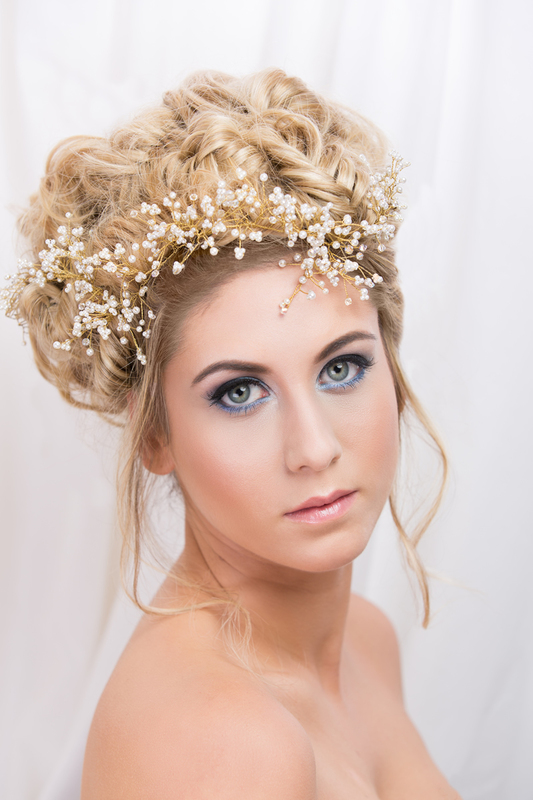 Trends in wedding hairstyles for spring 2016 are combining soft country and natural textures with metallic and glitter. You will see that juxtaposition reflected in wedding hair styles as well. Texture and romance with braids, loose up do’s, twists, and flowers woven in say soft romance for spring 2016 weddings while mixing in metallic bands, clips and accessories. Longer hair up do’s are going loose and gathered at the nape of the neck, either centered or slightly off-centered for a softer, romantic look. The hair is drawn back in loose curls or large twists to create a sensuous and classic look. The romantic messy bun is here to stay with fifteen different variations to please every taste. “Controlled Mess with romance thrown in” is a more accurate name for this look. The Double Chignon made all the rave at the spring 2016 Bridal shows and for good reason. This look is loose and romantic and sings of timelessness. Casual Braid and Bun combinations give new meaning to a classic and romantic look. The braid and bun combination provides the texture and fullness that this season is all about. Flowers woven in braids and buns tell us the soft bohemian look is still going strong for 2016. 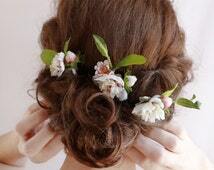 As floral arrangements and bouquets are looking loose and organic, the trend is carrying over into how flowers are woven into the bride’s hair. Boho Fishtail Plaits are perfect for floral accents as well as accessories that reflect your dress and theme. This is your day to shine in all your glory, choose your hairstyle to flatter not only you and your style, but to compliment your dress and theme of your day. Have fun and enjoy your time in the spotlight.